Tech giant Apple unveiled its subscription-based gaming service last night, titled ‘Apple Arcade’, and surprisingly SEGA has already been confirmed as a key partner in the upcoming platform, with a ‘Sonic Racing’ game being prepped for release later this year. The game is being developed by SEGA Hardlight, the mobile studio behind Sonic Dash and Sonic Forces: Speed Battle, and looks to be a unique version of Team Sonic Racing built specifically for Apple devices. However, SEGA hasn’t confirmed that the game is in fact Team Sonic Racing, despite the visual similarities it shares with the upcoming console racer. The publisher has in fact gone to great lengths to specifically call it ‘Sonic Racing’, so it remains to be seen whether this is going to be treated any differently on a development and marketing level. 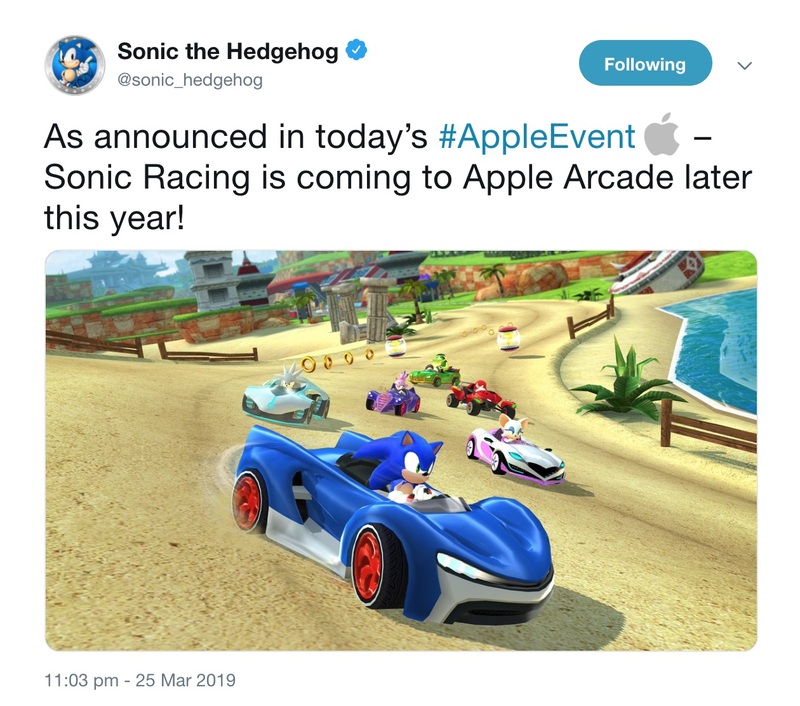 It’s also not confirmed whether ‘Sonic Racing’ will be an Apple exclusive, although during its event presentation last night Apple announced that every title in the Arcade catalogue will be exclusive to the service from a mobile and subscription perspective. So there’s some wiggle room for interpretation there. Apple Arcade will allow users on any Apple device to download and play a broad lineup of over 100 games using a single subscription fee. Most interestingly, gameplay can carry over between Apple devices – so a player can start a race campaign in Sonic Racing on their iPhone, continue it on their iPad and complete it on either their Mac computer or Apple TV. 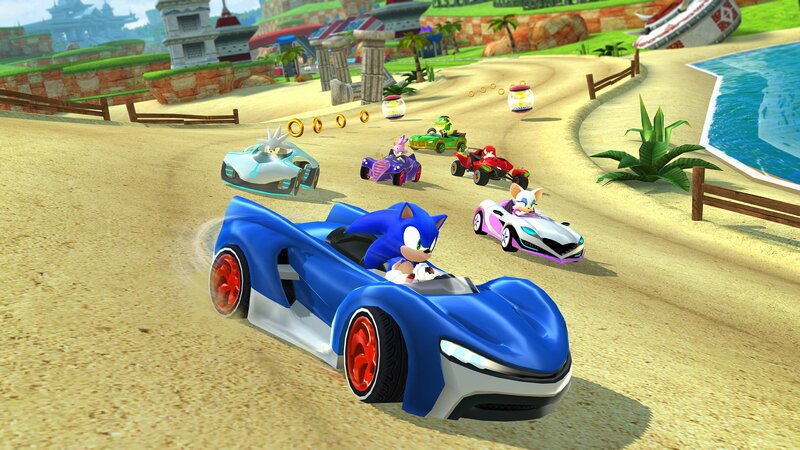 We’ll find out more about Sonic Racing as we get closer to Apple Arcade’s launch, no doubt. Stay tuned for more details!